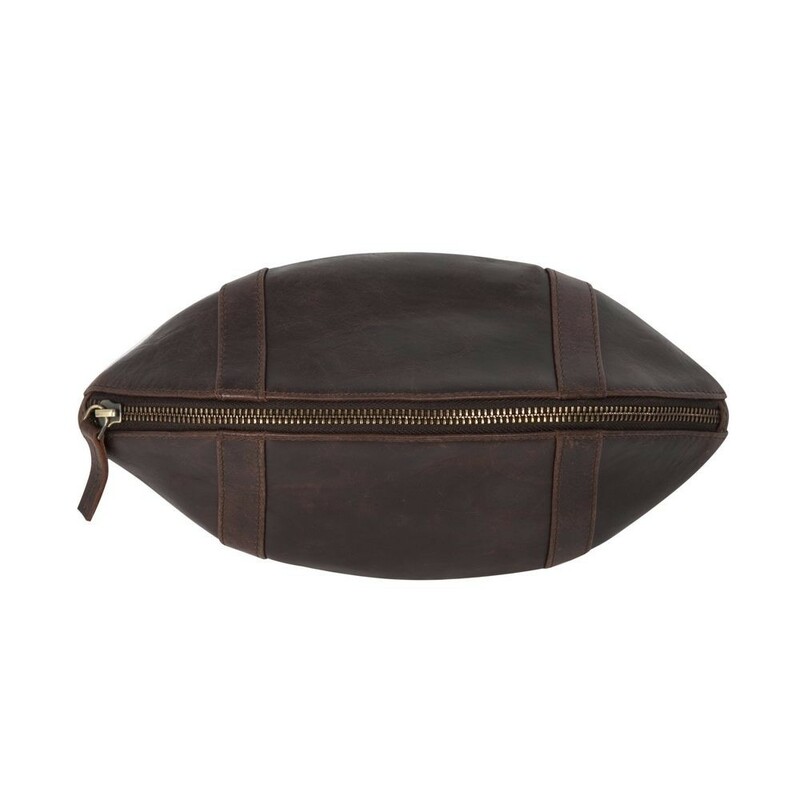 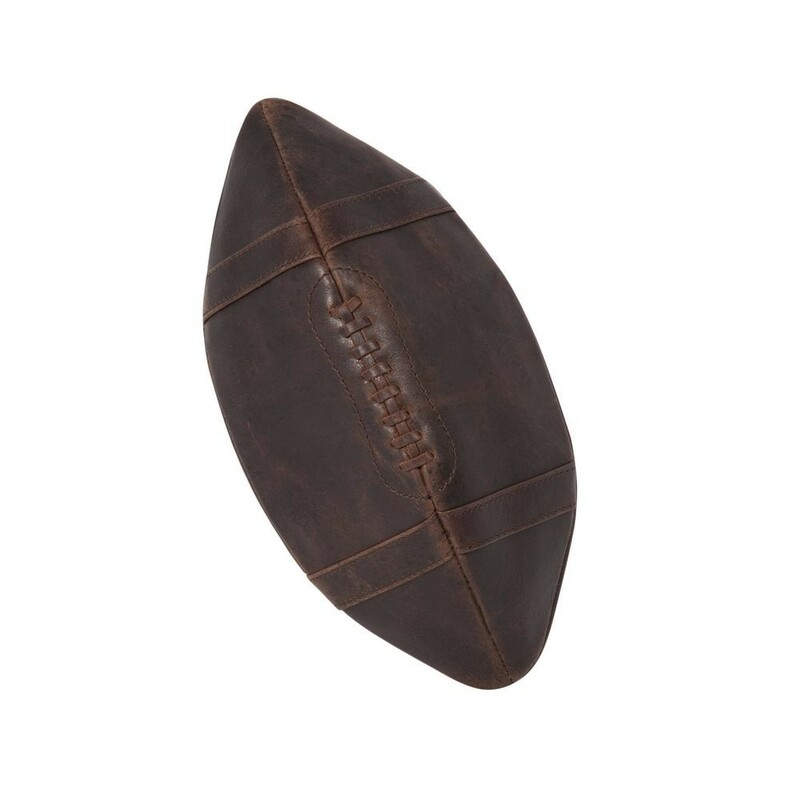 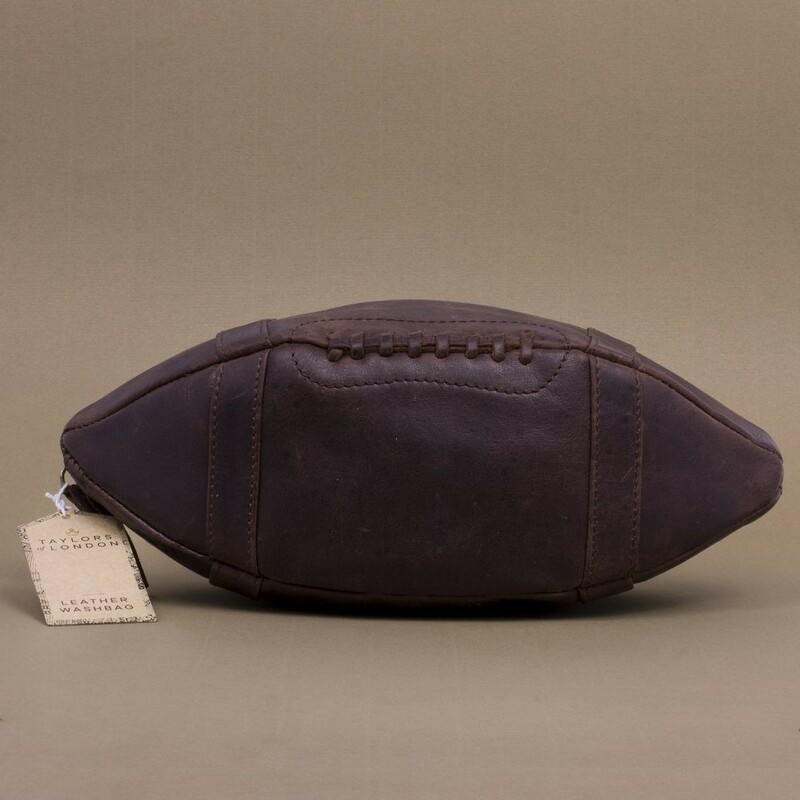 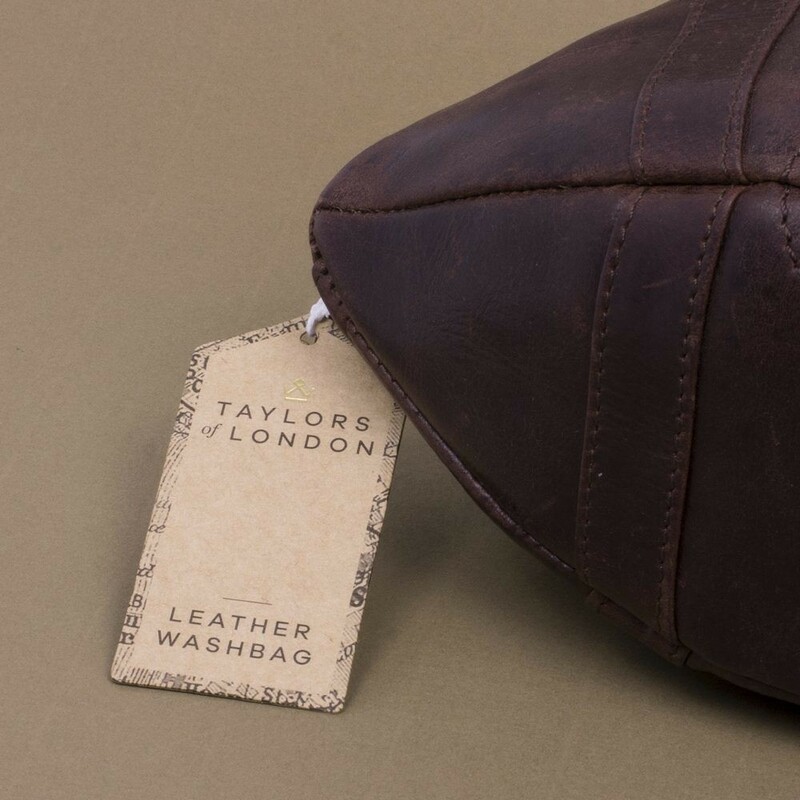 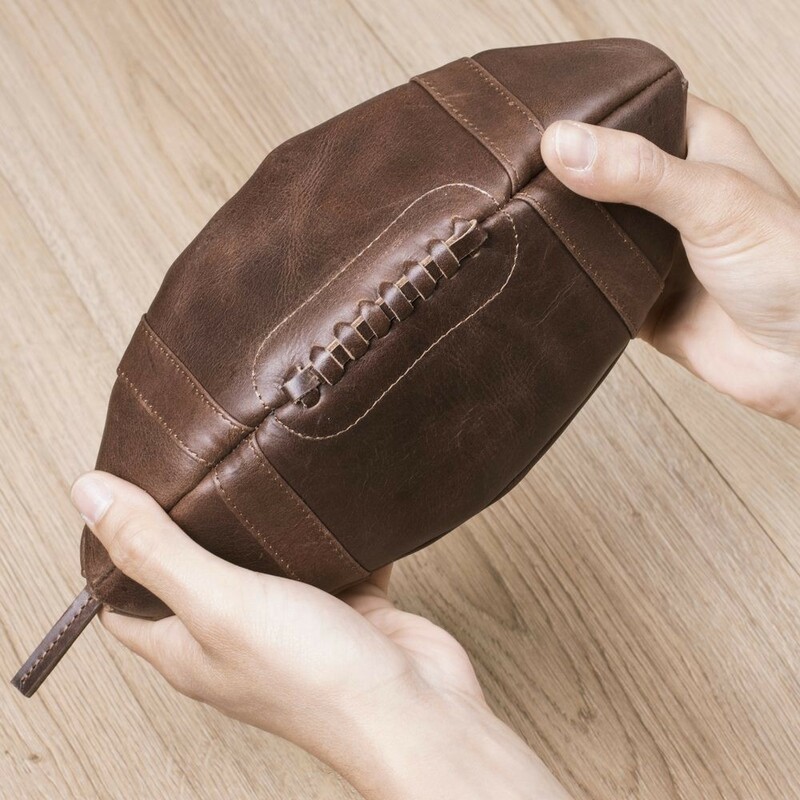 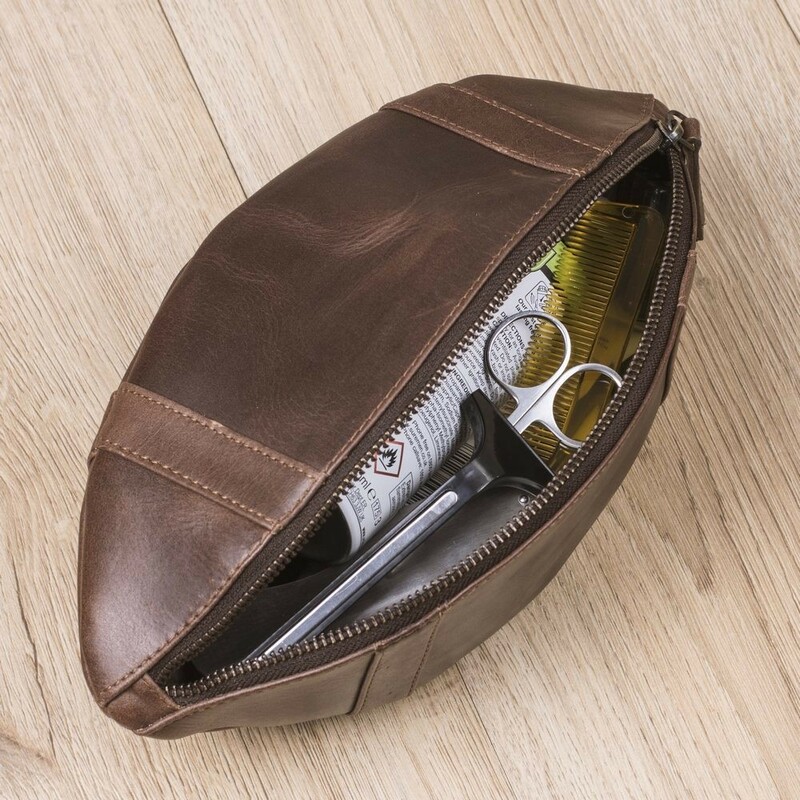 Genuine leather american football/rugby ball washbag. 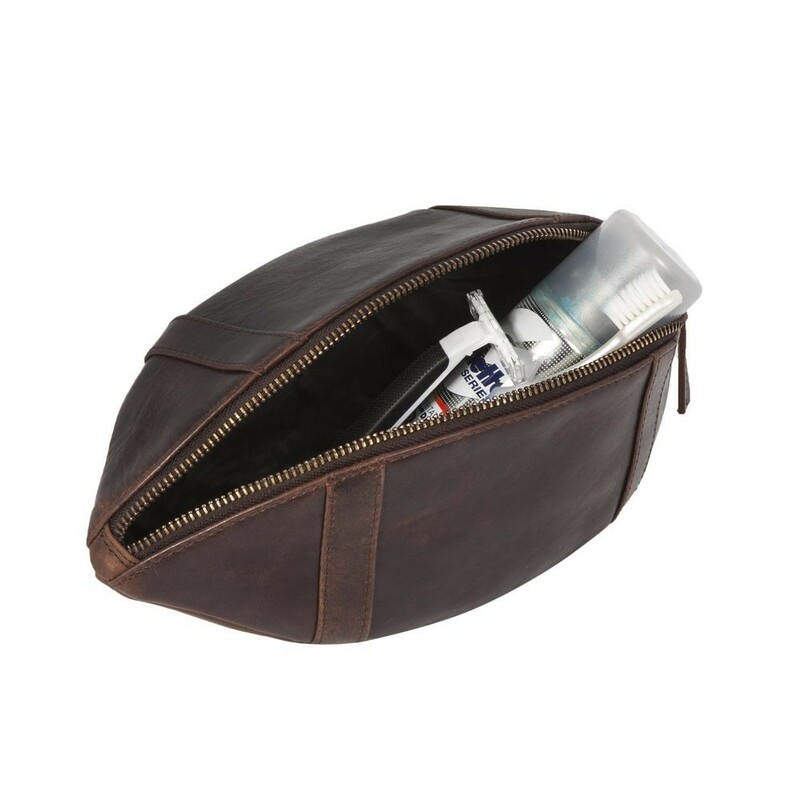 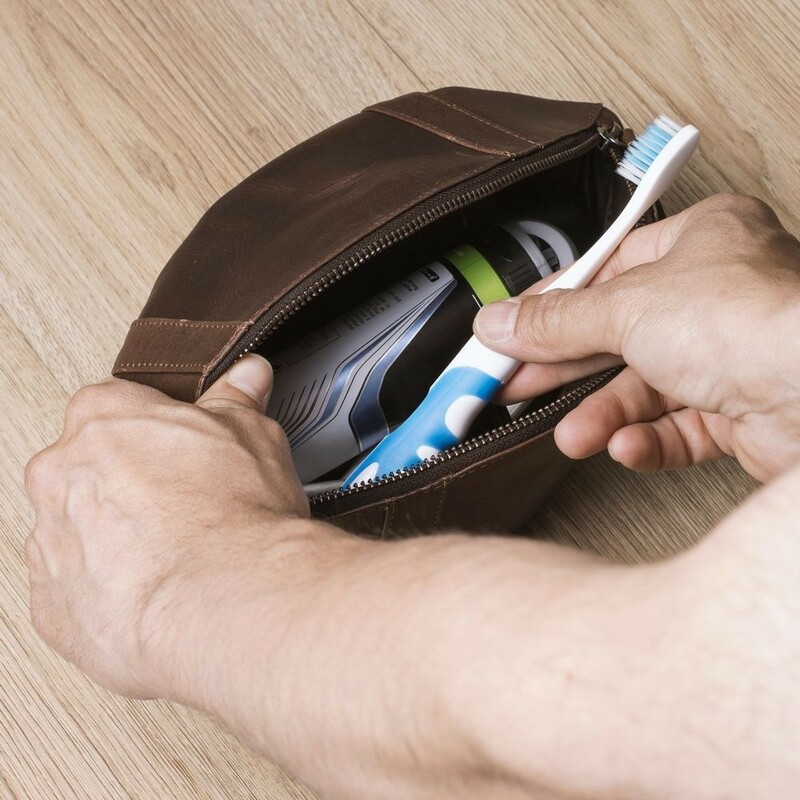 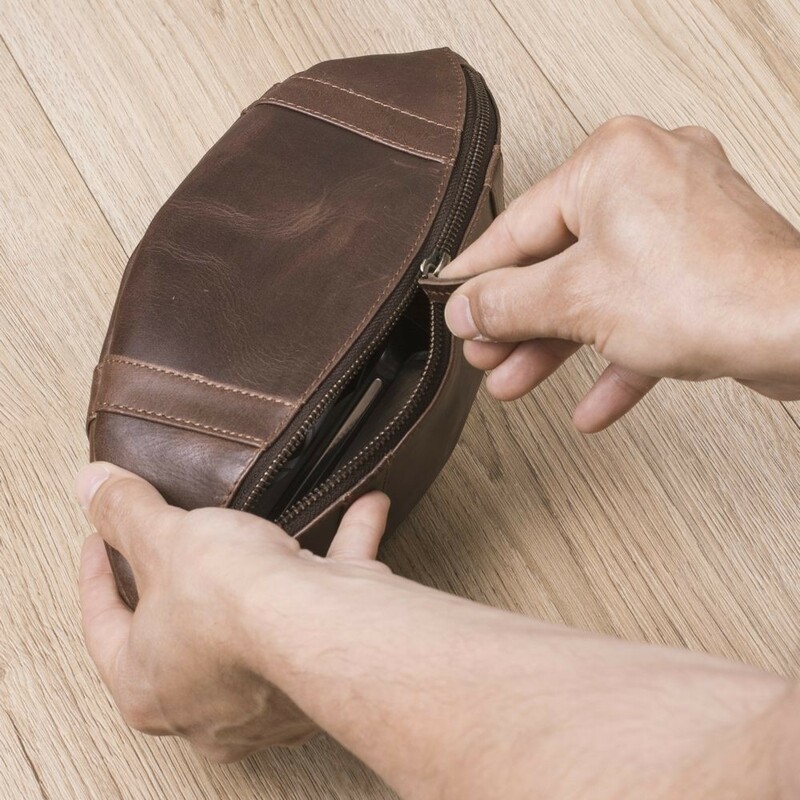 Includes large interior compartment for your toiletries. 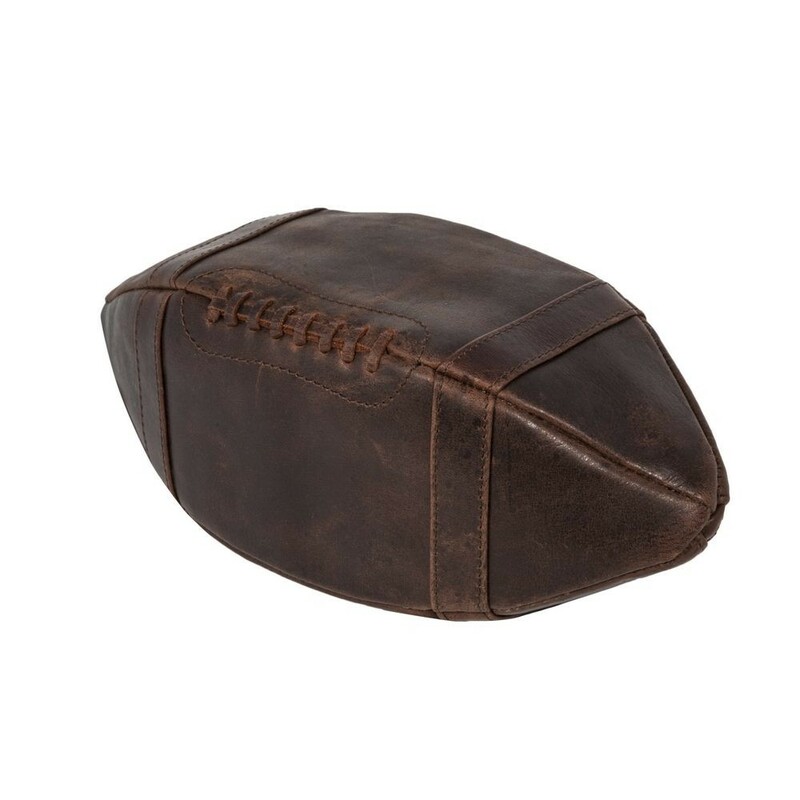 The ideal travel accessory for sports fans.